Rent a private jet to/from Austin, the capital city of Texas and a major cultural, educational and business center. Austin is the fastest growing city in the United States and home to a thriving aviation community; it’s geographical and political position make it a frequently requested destination for business and leisure charter flights. Chartering a private flight to (EDC) Austin Executive or (AUS) Austin-Bergstrom International is the most comfortable, convenient and secure way to arrive in the capital city of Texas, and ACA is here to offer the highest standards for both executive and leisure travelers. Air Charter Advisors offers simple, pay-as-you-go private jet charter service to/from Austin, Texas without any long-term commitments, contracts, memberships or hidden fees — just competitive rates on sleek, modern business jets, captained by veteran pilots, and complemented by variety of luxury concierge services. The number one priority of our company is the safety and comfort of every one of our clients. While other companies say the same thing, we go the extra nautical mile to show it with every flight. our Austin Air Charter Advisors are Wyvern-certified, one of the highest accreditation earned by less than 100 charter brokers around the world — and there are thousands of them. What does being a Wyvern-certified broker mean? It means that our safety and due diligence processes meet and/or exceed those set forth by the FAA. Using their updated reporting tools, we look for available aircraft while reviewing operator history, aircraft maintenance and pilot experience, allowing us to meticulously cultivate aircraft options that best fit your goals and your budget. We only arrange aircraft operated by FAR Part 135 (or foreign equivalent) air carriers, and our pilots require a high-level of experience in the make/model/type of aircraft you’re chartering, and not pilots who recently completed flight school. Whether you’re flying internationally or domestically, we’ll provide the right aircraft for your trip with competitive charter rates for every flight. If you’re looking for the best of the best, look no further. Together with our relationships and industry experience, we connect clients to the best aircraft for their charter flights without every cutting corners or costs. Our list of clients have included heads of state, executives from major corporations, celebrities, athletes, personal assistants and leisure travelers from around the world. Call or request a quote for your upcoming flight to Austin, Texas. Our team is here to help you with all of your private aviation needs or accommodating any other special requests – consider our Austin Private Jet Charter service your one-stop shop for all things private aviation in the Lone Star State. 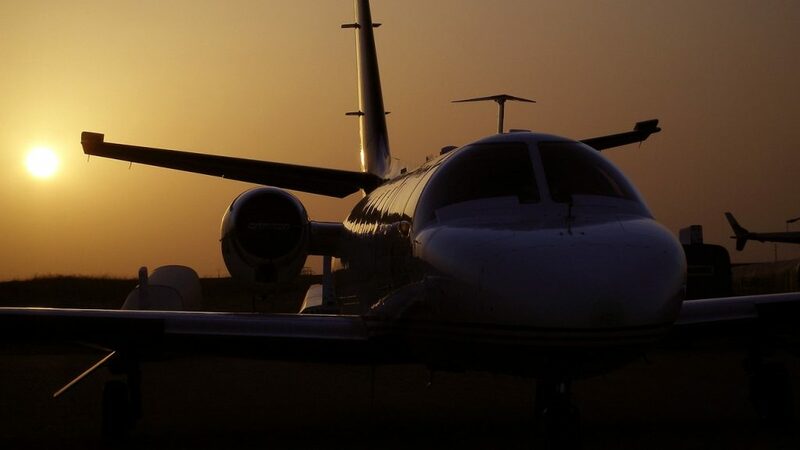 The following are the most centrally located and most frequently requested airports for private flights to/from Austin and surrounding areas of Texas Hill Country. There are several additional options both publicly and privately available within 50 miles of the city center. Our jet charter Austin brokers can connect you to the following Wyvern-certified aircraft for your private flight. Given the huge aviation community and large concentration of private jet ownership in Texas, many of these planes are based right around the corner, or a short re-positioning flight away. Regardless of where they’re located, all of the aircraft we utilize for private jet charter service to/from Austin are operated by FAR Part 135 or 121 (or foreign equivalent) air carriers. Our Austin Jet Charter brokers will provide you with a variety of aircraft options based on the goals and budget of your trip, allowing clients to charter a cost-effective turboprop, a comfortable light/mid-size jet, or the most luxurious, lavish corporate jet in Texas. 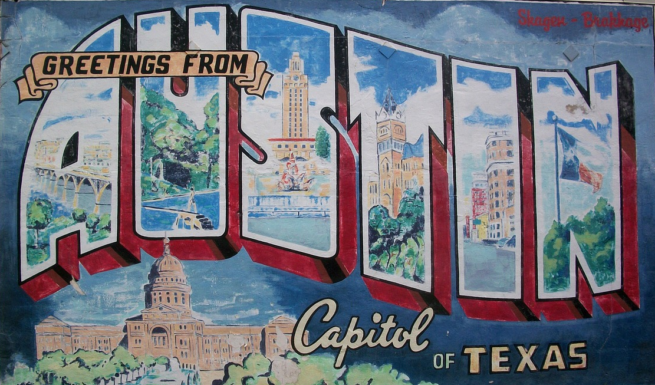 Book your private flight with ACA and visit Austin, home nearly 1 million people in the Hill Country of Central Texas. While that only makes it the 4th-most populous city in Texas, it’s actually the 11th-most populous city in the United States. 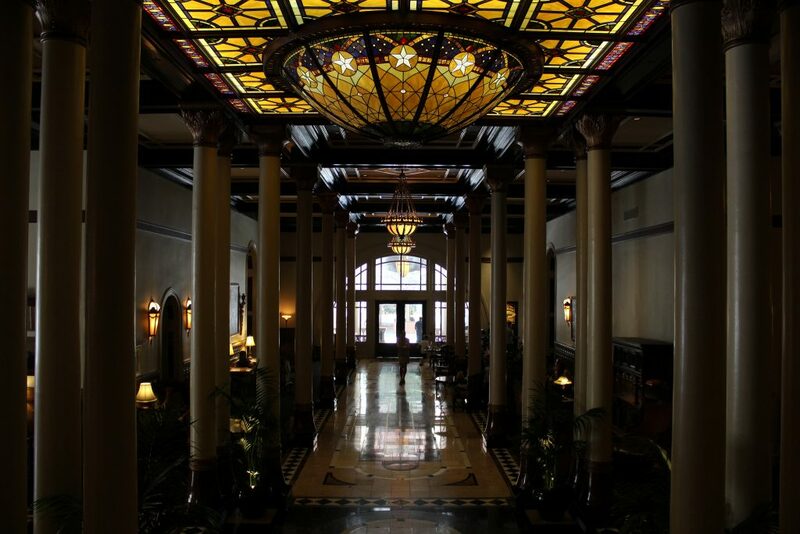 The state capital of Texas is also home to the state’s flagship university, and it’s an influential center for politics, technology, music, film and adventurous cuisine. Visitors are drawn to the city’s hip culture, live music, great food and late nights. 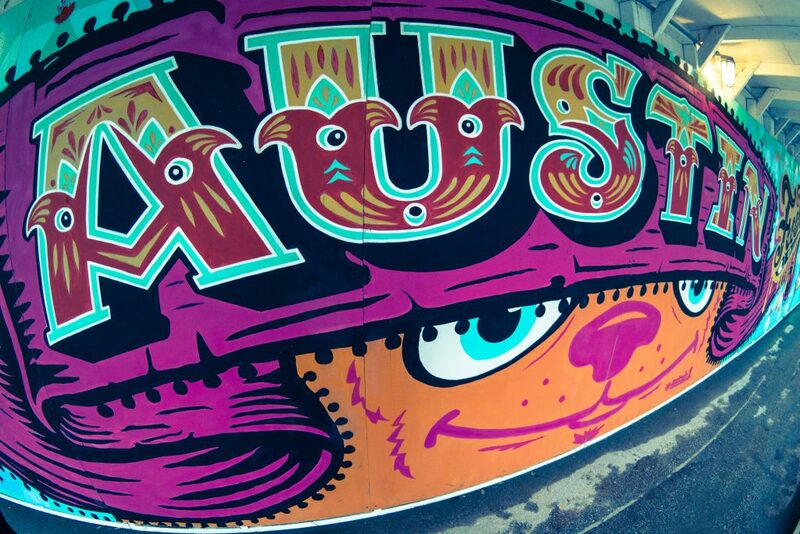 Alternative culture is embraced by Austinites, often worn on their sleeve or bumpers in the form of the city’s slogan: “Keep Austin Weird.” — the city also identifies itself as the “Live Music Capital of the World” thanks to a high number of venues and a packed concert schedule. One of the largest music events of the year, SXSW (South By South West), is hosted in Austin and attracts some of the biggest names in the music industry. Whether flying privately to (EDC) Austin Executive for business around Texas Hill Country or (AUS) Austin-Bergstrom International for the event-driven line-dance clubs and hipster-filled dive bars with makeshift stages, we can help arrange the right aircraft and flight itinerary that best suit your needs. Book a private jet to Austin and 2-step your way through heaps of music venues, specialty bars, and effervescent locals that litter the streets of this quirky and charismatic boom town. Austin is known as the “Live Music Capital of the World”, and it treats the title with a gravity that’s palpable as you traverse its meandering streets. If you’re looking to check out the bar and music scene, head over to Sixth Street in the evening for a wide selection of venues, many of which will feature live music. Located in Central Texas in the foothills of Texas Hill Country, Austin is home to a variety of rivers, lakes and waterways, including Lady Bird Lake, Barton Springs, McKinney Falls, the Colorado River, Lake Travis, and Lake Walter E. Long. There’s also an impressive array of music and food related content, which as it happens, is not a coincidence. The musical revolution that turned the city on its head also attracted an army of top chefs and ambitious business owners. These elements, when combined with a population hungry for anything new and interesting, act as fertilizer to the restaurants and cafes that everyday are popping up like daisies around the city. From the imaginative menu and modern feel at Uchiko Japanese restaurant to the comfort food and antebellum atmosphere of Moonshine, food lovers will be pulled in all directions by the assorted cuisines. After satisfying their hunger, travelers can head to downtown for some of Austin’s famous live music. Venues like The White Horse and The Continental Club bring down the house every night with bands of every genre under the sun. Whatever their tastes in food and music entail, visitors are sure to find something fun. As the capital city of Texas, Austin is a popular destination for government and corporate charter flights. When choosing a charter broker to arrange your upcoming flight, you want to work with a company that has your best interests in mind. Air Charter Advisors is Wyvern Certified, meaning our safety parameters and due-diligence processes meet and exceed those set forth by the FAA for private charter flights. All of the aircraft we use are FAR Part 135 or 121 certified, and we carefully review the latest Wyvern PASS reports to give you peace of mind when arranging your private flight. 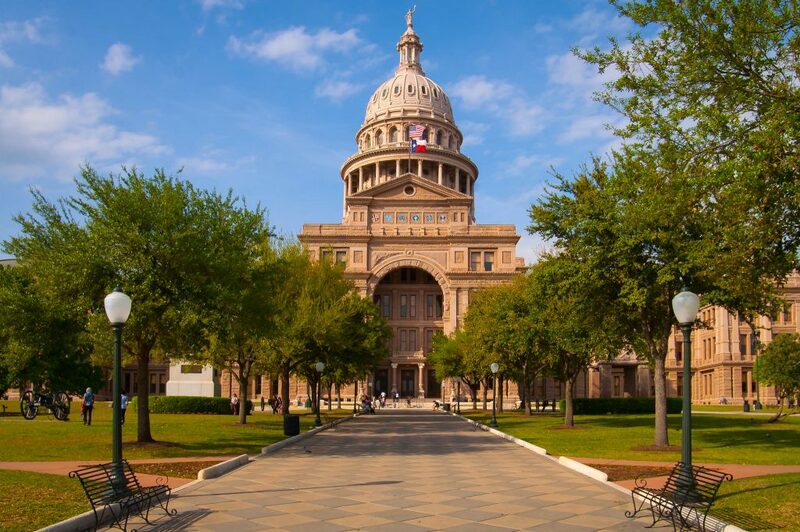 If your client has a business meeting, government conference or other events in Texas, call to speak with one of our private aviation specialists to arrange your charter flight to Austin, Texas. As a government official, the privacy and security of your transportation is paramount. Elected officials have some of the most stressful, demanding positions in the world. Internationally, there are thousands of individuals who either volunteer or are employed to help operate/run political parties or administrations of government, in addition to thousands of international diplomats. Political leaders, politicians, and government officials may require a flight to reach political conferences, conventions, summits or campaigns throughout the world. To assist in avoiding acts of terror, conflict zones, or public scrutiny, using air charter enables discrete and secure travel for world leaders. Our Austin Jet Charter team utilizes aircraft operated by companies following the most stringent rules and regulations for the safety and security of our passengers. The pilots and crew selected for these government charter flights have undergone various background and security checks by the Federal Aviation Administration (FAA). We are dedicated to providing government air charter services on Helicopters, Turbo-Prop, Private Jets, and larger wide-body aircraft for larger groups. Our clients have included senior military personnel, government & political heads of state such as members of Royal Families, Presidents, Prime Ministers, Representatives, Senators, Members of Parliament, Diplomats, NGO’s and other councils. Gain the confidence of hiring an air charter broker you can trust. The Air Charter Advisors team is available 24/7/365 with the quickest response time in the industry. Call us now to schedule or discuss your next flight, and verify our accreditations below if needed. For government contracts we can be found on the SAM – System for Award Management. A musical renaissance is transforming Texas’ capital into a top-shelf destination for travelers all over the world. And like all fine liquors, Austin is better experienced within the proper atmosphere. You wouldn’t drink an Idol vodka martini in a back alley, and you shouldn’t experience Austin from a Day’s Inn. Luckily, the city makes this easy by maintaining a veritable fleet of four and five star hotels for its visitors to indulge in. From the classic decadence of the InterContinental to the brave and inventive Hotel Ella, the lodgings here offer an eclectic mix of architectural ingenuity and impeccable service seldom found elsewhere. Below you will find a list of the top luxury hotels in the area for your next vacation or business trip. 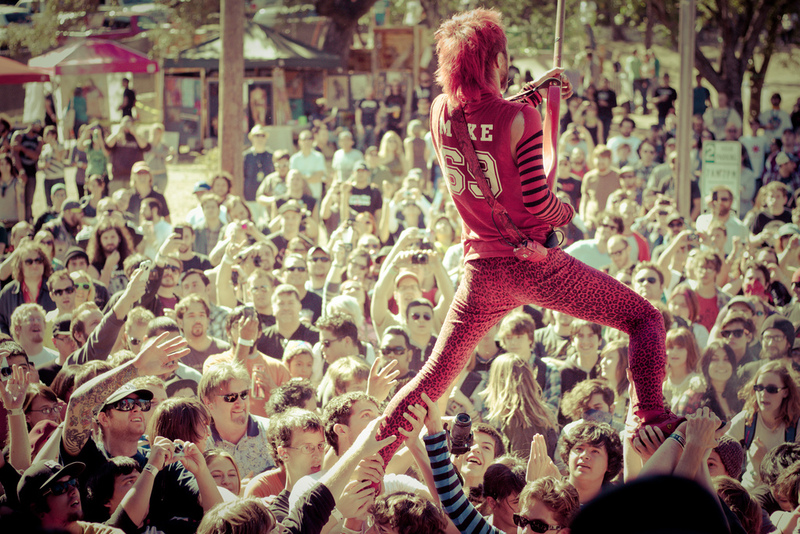 South by Southwest (SXSW) Music Festival, one of the biggest music festival in the United States, is held annually in March attracting more than 1,500 performers playing at dozens of venues around Austin over four days. Major players in the music industry from record label executives and chart-topping artists to independent labels and up and coming performers descend upon Austin for a week of networking, marketing and more. You’ve purchased VIP tickets, so why not fly like one? Charter a private jet to Austin to attend the festival! Likewise, if you’re a VIP performer and want to arrive in the most stylish, comfortable and discrete way possible, flying private is the way to go. 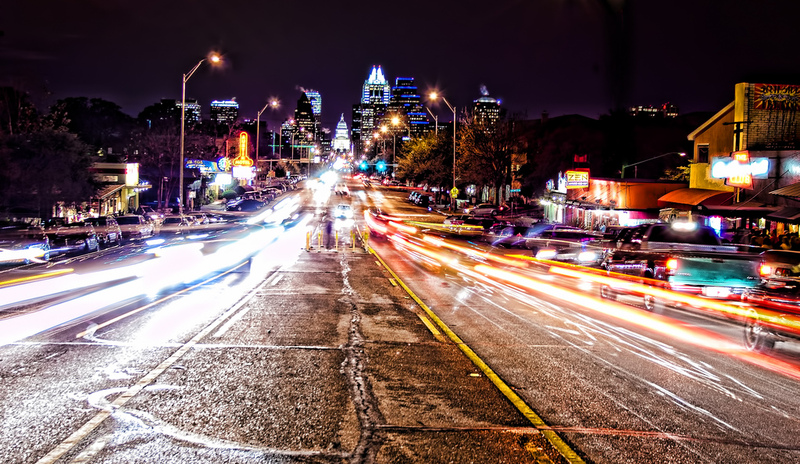 Give us a call or request a quote for the next SXSW in Austin, Texas. Air Charter Advisors utilizes the following airports to fly clients privately to/from Austin, Texas and surrounding areas of the Lone Star State. Request a Quote or give us a call at 1-888-987-5387 to speak with one of our Austin Jet Charter service brokers for your next luxury vacation, business trip, or special event in Texas.